Tideswell at UCSF evaluates new and existing models of patient care for older adults with complex serious illnesses and/or functional limitations. The purpose of our evaluation efforts is to identify components of clinical care modes/ and programs that contribute most to their success and determine what changes in delivery models would most improve quality and outcomes. 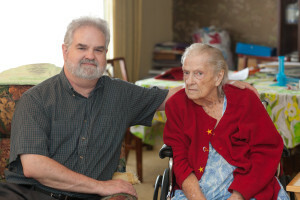 One initiative that Tideswell is supporting is the National Home-Based Primary Care and Palliative Care Network consisting of health care providers, consumer and caregiver representatives, policymakers and other stakeholders committed to establishing a common vision for what quality home-based care should be, and to develop appropriate quality metrics for such care. Tideswell is implementing and pilot testing a registry to evaluate quality of care in one of our home care programs. 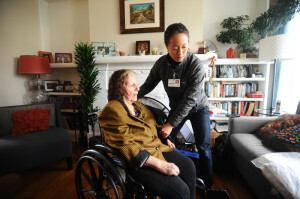 The UCSF Housecalls Program provides primary care to homebound elders in San Francisco. 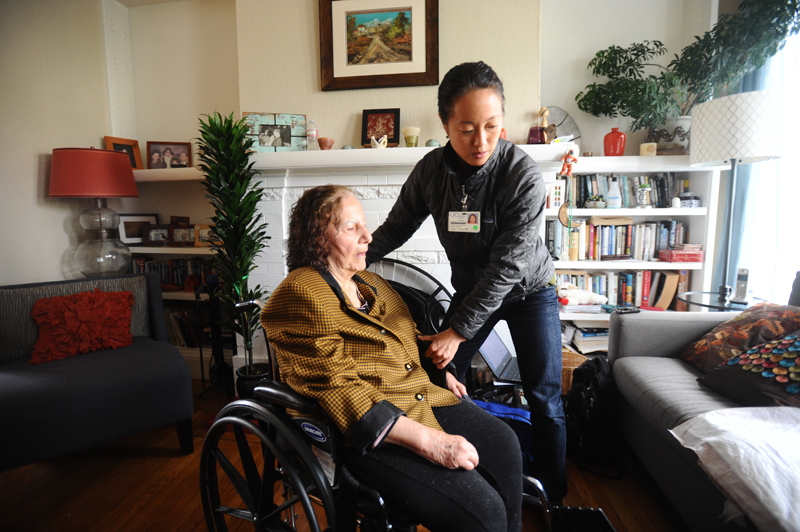 Tideswell funded a strategic plan to analyze patient panel characteristics, transportation times, billing codes and other statistics to study the viability of expanding the program to serve more patients in the San Francisco community. For more information or to learn about enrollment into the UCSF Housecalls Program, please click here. 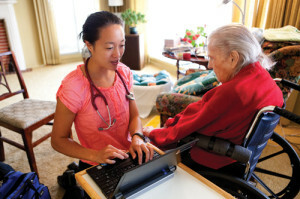 complex adult patients receiving care from the UCSF Health System. 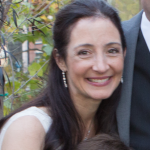 Tideswell’s July 2014 evaluation of this program showed that patients who were admitted to Care Support had significantly fewer emergency room visits and improved quality of life than prior to receiving this service. They also had significantly fewer hospital stays. We are now trying to understand the specific components of this program that are most important for its success. For more information about UCSF Care Support, please click here. Bridges offers home-visits by palliative care-boarded physicians who specialize in symptom management, communication, and safe transitions from hospital to home. 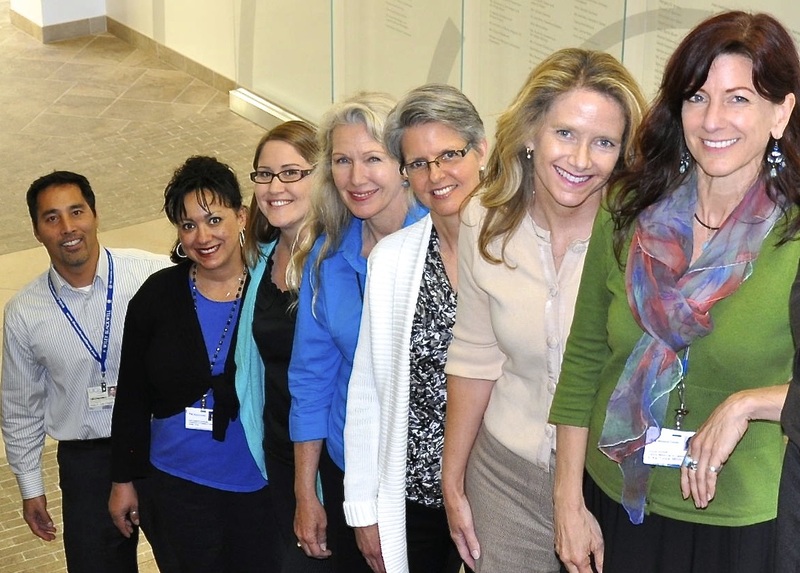 Tideswell is supporting the Bridges program by assisting 1) with the development of a database to capture quality of care and outcomes and 2) conduct of analyses of impact of this program on quality of life for patients and caregivers. For more information or to learn about enrollment into Bridges, please click here. Train medical students to support older patients during the preoperative surgery period. 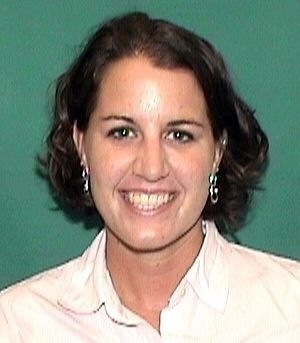 Dr. Brook Calton is focusing on the formal planning process for a new community-based palliative care program. 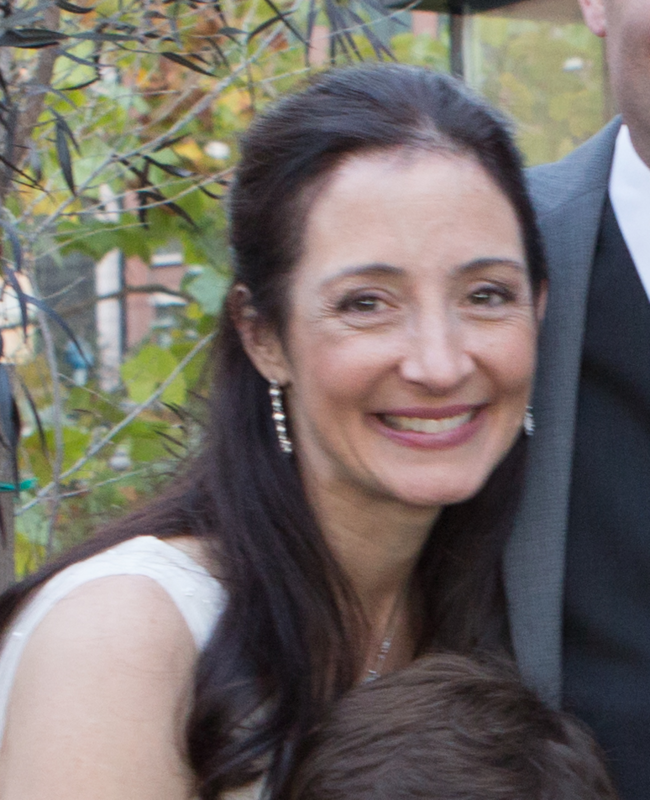 The program is intended to expand palliative care services to seriously ill patients living in San Francisco through a unique partnership between UCSF, Blue Shield of California, and Hospice by the Bay. In the Leading Tidal Change Program, I hope to complete the following steps: 1) Identify patients to serve in our program; 2) Clarify services to provide; 3) Determine a payment mechanism to align incentives and optimize high-value care; and 4) Select outcome measures. 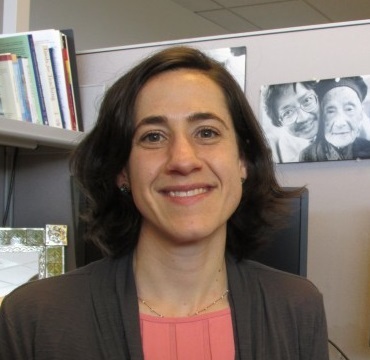 At San Francisco General Hospital, the outpatient Geriatrics consult service, led by Dr. Anna Chodos, serves patients and primary care providers with different intensities of service based on their needs. This model saves resources by addressing some issues through an electronic e-advice platform as well as through staffing a monthly clinic for geriatric evaluations. As Dr. Chodos’ team completes an evaluation of the service, the next challenge will be to strategically open these services to more clinics and make targeted improvements. 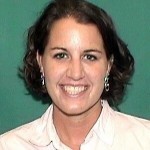 Dr. Heather Nye is creating a curriculum for early learners on an inpatient orthopedics team. Because a substantial number of orthopedic surgeries are performed on patients older than 65, this is an ideal arena for students to learn strategies to support older patients during the perioperative period and to understand the complicated systems that patients navigate. Students are being embedded within full interdisciplinary teams, with roles in both preoperative and inpatient management of patients, engaging in quality improvement projects on delirium prevention, medication management and education, and care transitions.